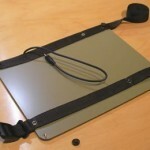 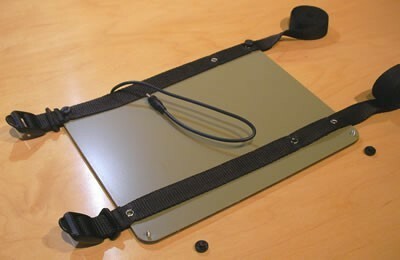 The easy way to strap your solar panel to your backpack or kayak deck. 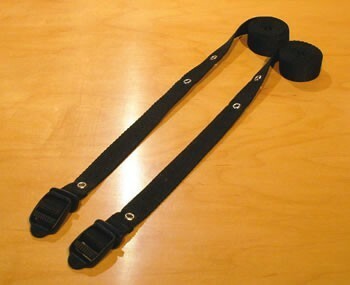 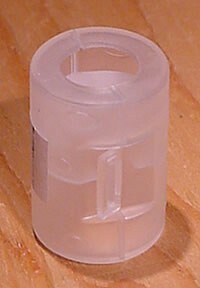 Tough 2cm (3/4″) polypropylene with tab-release buckles. 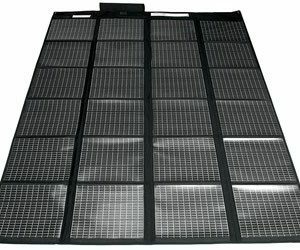 1.22m (48″) long. 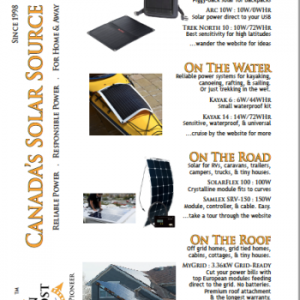 Choose grommet placement for Voltaic solar panels, or do it yourself.